Securely mount your 1" diameter riflescope with these Quick Release Steel Riflescope Rings from Konus. These 23.5mm high rings can be mounted on Picatinny/Weaver rails. The quick release lever makes mounting and detaching easy. 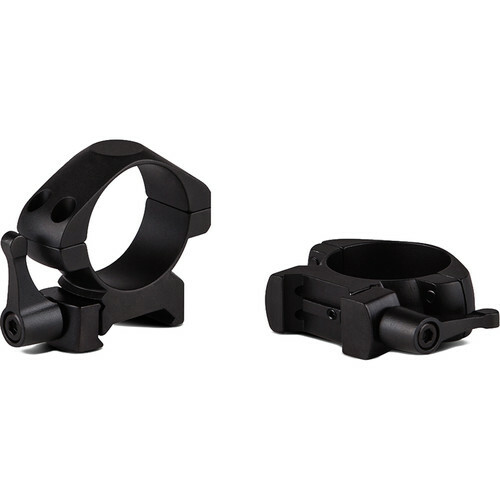 Four Torx screws per ring and square recoil lugs assure your optic will stay in position.